Get ready to turbocharge your PharmSaver checkout! 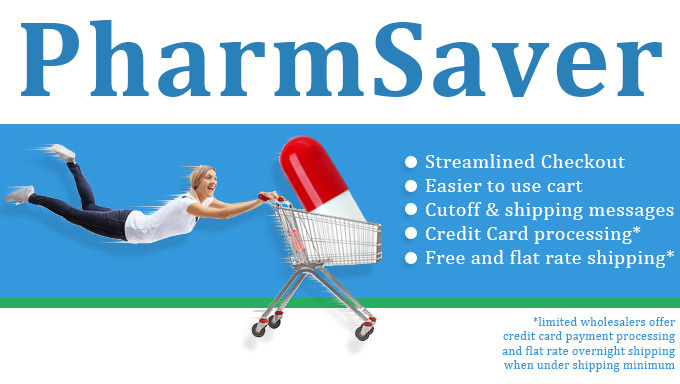 We already offer the industry's best online pharmaceutical purchasing and data analytics experience - but hang on - coming in September 2017 PharmSaver is introducing a new checkout system that will make it easier and faster than ever to save money on brand and generic drugs. With PharmSaver you can upload orders in lots of different formats. We support EDI X12 850 purchase orders, Excel® worksheets, Comma/Tab delimited files, Fixed position ASCII text files, quick entry uploads and much more. If you'd rather order individual line items by NDC or Drug Name we can do that too. Our Order page is a serious time saver and money maker. Once you get items into PharmSaver they appear in the Cart. Our new Enhanced Purchasing Experience Cart shows items selected for each wholesaler along with that wholesaler's daily shipping cutoff and any shipping messages (holidays hours and such) . Shipping status and payment terms are easily visible. The first step of checkout is a new validation page that checks items for each wholesaler. We run many different tests including real-time inventory level checking (with select wholesalers) to make sure that when you click Checkout the items are always in stock. Additionally, we check each wholesaler's overnight and ground shipping limits, your pharmacy's credit status, monthly order limits and certain utilizations. New for the Enhanced Purchasing Experience cart is that select wholesalers may now offer flat rate shipping where you can order any item and pay the shipping charge, regardless of minimum shipping requirements. Enter your pharmacy's Purchase Order # or for select wholesalers, pay by credit card in advance. Next stop, success! Your order is transmitted to wholesalers immediately after checkout to make sure you get the items on time, every time. We facilitate shipping notices so you can expect a shipping confirmation as soon as the items are packaged and ready for pickup by the carrier. We're working hard to improve PharmSaver every day and hope you find the new Enhanced Purchasing Experience easy to use and saves you time and money. We'd love to hear from you. Click on the Contact Us link at the top of this page to send your thoughts.